After being crowded up with other prisoners in the rear of Grant’s army for a few days, I was put upon a small boat, Swanee, on the Chesapeake Bay and carried to Point Lookout. 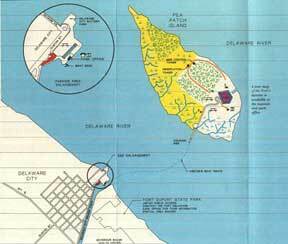 I was not landed there but taken to Fort Delaware in Delaware State and there landed and put into officers’ quarters. There were 2,200 of them [officers]. Crab was fortunate to have avoided Point Lookout, which sits on the Maryland shore of the Chesapeake Bay. It was the largest of the Union’s prison camps, and one of the worst. This prison camp was built for 10,000 but held between 12,000 and 20,000. Four thousand prisoners died at Point Lookout. 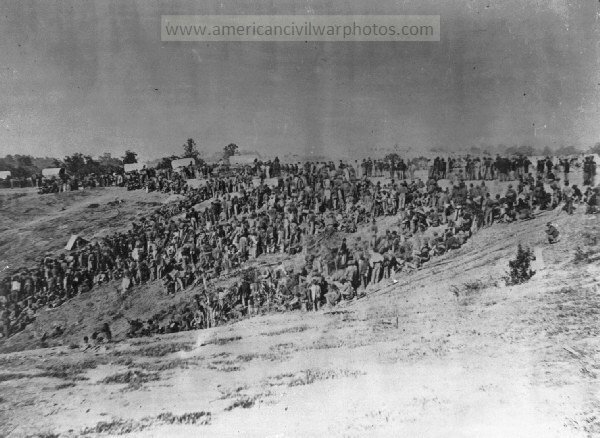 A mass grave held 3,384 prisoners. Fort Delaware was better. The fort still exists in the Delaware River south of Wilmington. Finished in 1859, the Union army occupied the fort in 1861. The Fort Delaware Society operates the island, now a state park, with volunteer re-enactors who wear the garb and speak the talk of 1864. The fort sits on Pea Patch Island, a six-acre tract in the middle of the river. 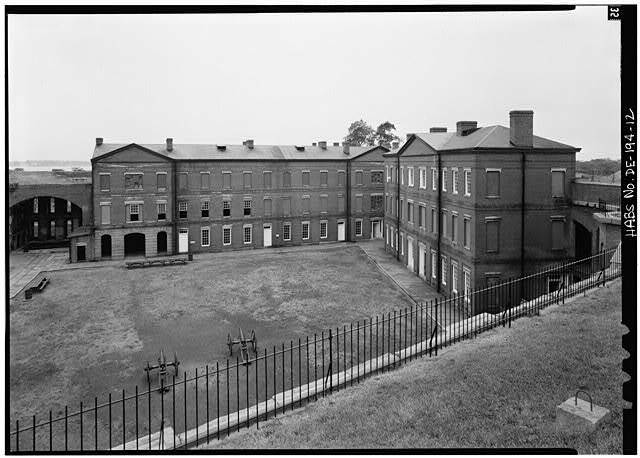 General officers lived inside Fort Delaware but other officers and the enlisted men lived on the island. Pretty soon, though, I took sick, and as there was much smallpox in prison, it was supposed I, too, had it. I was sent to a ward in hospital for development of the disease. It turned out not to be smallpox, though, and I was quite sick some two weeks and was visited by some good ladies from Maryland who sympathized with our cause (Mrs. Howard) and who gave me some clothing, which I yet appreciate. About 2,900 prisoners died at Fort Delaware, according to Jocelyn P. Jamison, an archivist of the Fort Delaware Society, which operates the prison and publishes a journal. While in prison I formed a plan to escape with a fellow officer, Bob Childs. But it was never put into execution, as it involved swimming over a mile by the aid of caissons. 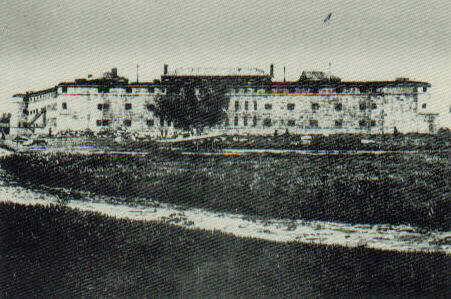 I was placed, upon getting well, back into the barracks with the other officers and had a hard time of it as the food was bad, water bad, weather hot, and confinement hard to bear. Prison life for Lieutenant Cherry soon grew much worse.